Navy fleece stadium blanket with easy to carry strap. 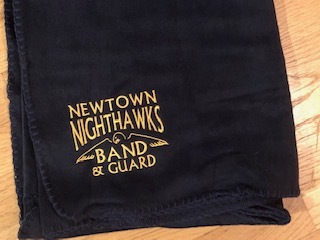 Band/Guard logo printed in gold in corner. 50" x 60"